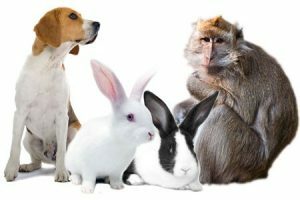 Animal experimentation and the models by which it is conducted are a core component of the Preclinical Translational Research Unit’s work. Animal models are the primary mode of research responsible for translating preclinical project work into successful clinical trials, which is why they are a focus of our unit. We work to create animal models that minimize the consumption of resources, especially time and money, without allowing for any compromise in the integrity of our data or their reproducibility. By continually striving to uphold these standards while continually striving to assess and improve our animal models we ensure that we consistently deliver optimum results and solutions. Under the Duke Preclinical Translational Research Unit’s expert guidance we hope to be able assist our partners in designing the model and method that allow for the creation of experiments that run correctly the first time, reducing waste and repetition. These subjects can be immunodeficient, inbred, outbred, hybrid, genetically engineered, or congenic. Contact us to learn more about how the Duke Preclinical Translational Research Unit can assist you. For more information about some of the latest developments in animal modeling at Duke visit the Duke Transgenic Mouse facility. For an overview of one of the dedicated animal research facilities available at Duke please visit the Cancer Center Isolation Facility (CCIF) page.